If applicable, any employment arrangements made between the employer and employee can be entered here. Enter the employee's passport number, if known. This is an optional field. To add the employee’s photo to their record, double click on the photo icon and browse to where you have the photo saved. Please note, the image file must be a .jpg file. The employee’s HR details are now complete. 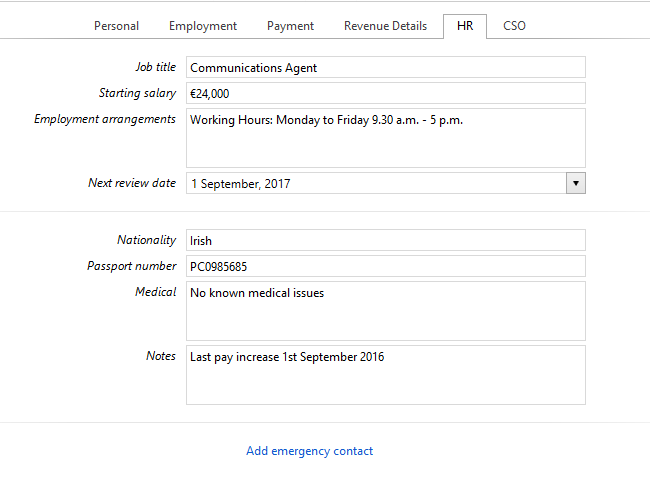 Now select the ‘CSO’ tab to continue to set up the employee’s record.